The impact of parent involvement on student performance is well documented and it is important that teachers have a strategy for involving parents in their classroom. Here are 5 ways you can help parents stay involved if you are using Google Classroom. Guardian Summaries are the "official" way to help parents stay abreast of their student's work. 1. Visit your Classroom "student" tab. 3. Click "invite guardian" for each student and enter the parent email address. 4. Parents will receive an email invitation which they must accept and configure their preferences. Parents will only see the title and instructions for your classroom assignments, they can NOT access classroom or see student work. If a student is enrolled in multiple classes, the parent will get one email with a combined summary of ALL of the student's courses. Parents should be fully aware of how students are using their school provided Google Apps for Education account. 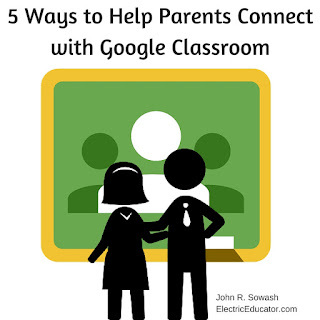 A parent can login to Google Classroom using their son or daughters login information to see the assignments that are due and the work that has been completed. There are some potential legal issues if a teacher provides a parent with login information. It is best if you allow the student to share the information with the parent or forward the request to the school principal or technology department. There is nothing more powerful than a parent sitting down on a daily basis with a child and discussing what they are learning at school. I recommend it. While this solution is viable for families with 1-2 students, it would be challenging to manage 3+ login credentials on a regular basis. In these situations, one of the other options below will be more realistic. 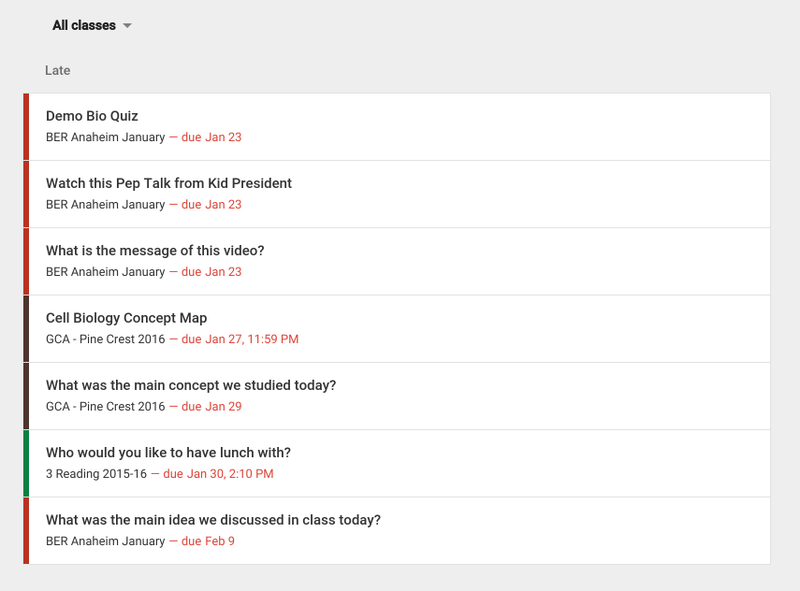 A 2015 update to Google Classroom added Google Calendar integration to Google Classroom. 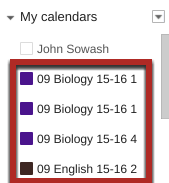 Now, all assignments with a due-date are automatically added to a Google Calendar. This calendar can be shared with a parent or made public (provided your domain administrator is allowing public calendar sharing). It is important to note that announcements and assignments without a due-date will NOT be displayed on the calendar. This un-dated content can be manually added to Google Calendar simply by adding a new event. All manual additions to the calendar must be done via Google Calendar, not Google Classroom. Yep, it's old fashioned, but sometimes paper is best! For students with limited access to technology at home, have them print out the "work" page in Classroom. This page provides an overview of all upcoming assignments. Students can print out work for for individual classes or all of them. Before Google Classroom, I set up a Google Site which I used to organize and share resources with my students. This is a great practice to continue as it provides tremendous value to both students and parents. Maintaining a classroom website will require additional work, however once it is setup, your website will only require minor maintenance each year. Whenever possible, embed Google Documents, Spreadsheets, and Presentations from Drive. This will make keeping your site up-to-date even easier as these files will automatically update any time they are edited. The ability to search is one of the missing features of Google Classroom. Students will benefit from having access to your website, especially if it is organized topically or by unit. 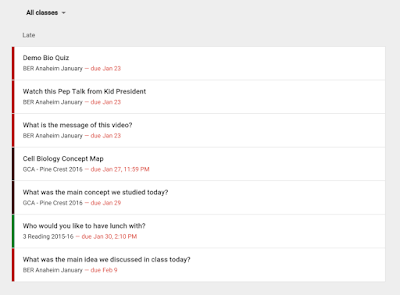 Finding a missing document or resource via Google Classroom is challenging due to the chronological layout. Finding that same resource on a website organized by unit is much easier. Google Sites, Blogger, Weebly, and Wix are all fine choices for creating a classroom website. SMS / Text messaging has become a common form of simple communication, in some cases, replacing email. 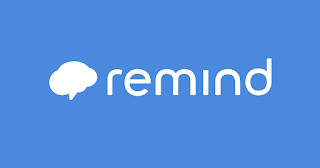 Remind is a free service that allows teachers to send SMS / Text updates to students or parents without giving out personal cell numbers. 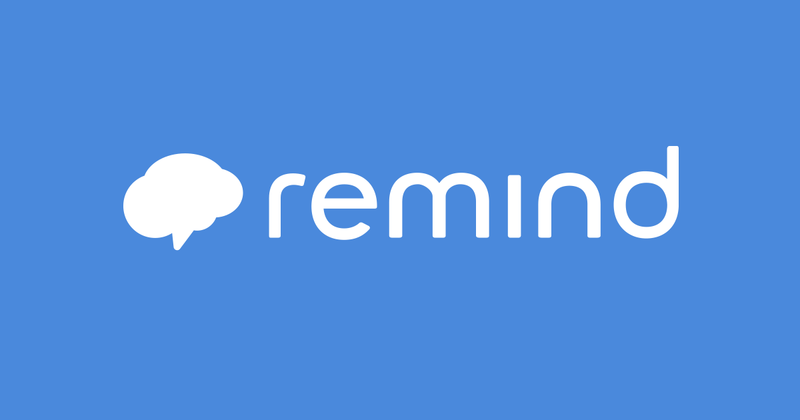 Remind is easy to setup and easy for parents to subscribe to updates. Check it out!